INSPIRING AND ENGAGING YOUNG PROFESSIONALS TO JOIN US IN CARING FOR ANIMALS AND CONSERVING THE NATURAL WORLD. Young Professionals for Animals and Conservation or YPAC is a group of motivated and adventurous young professionals ages 21-mid 40s with a passion to think globally and volunteer locally on behalf of the natural world. 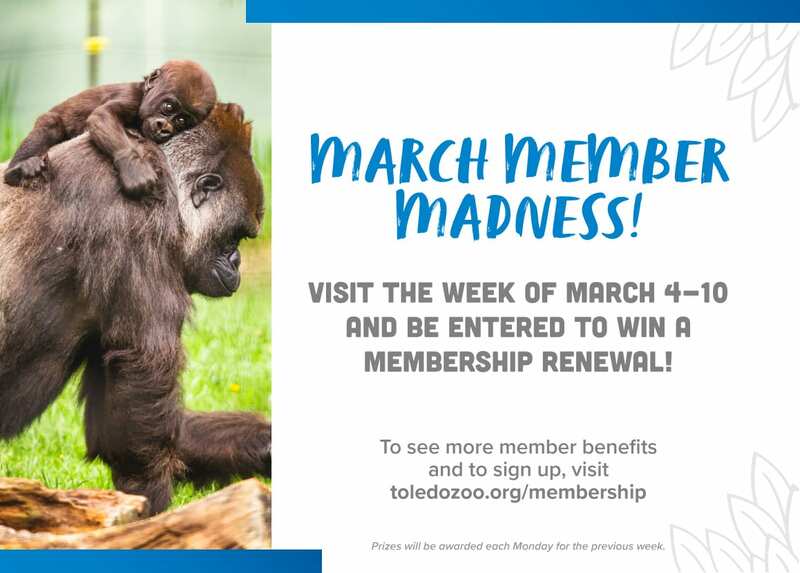 YPAC memberships are $25 per person/year in addition to a Zoo membership. • Exclusive opportunity for advance ticket sales to annual Zoo Brew and Wine Tasting events - historically sold out events! *Registration closes on Thursday, 3/28 at 3 p.m.
10 a.m. - 12:00 p.m.
Sign up to receive YPAC event info! For questions regarding YPAC, reach out to us by clicking here. When: Wednesday, Dec. 5 • 5:30 – 7:30 p.m.
Have you ever taken a selfie with a penguin? Get your chance and join Young Professionals for Animals and Conservation (YPAC) at the third annual YPAC Holiday Howler during the holiday tradition, Lights Before Christmas presented by KeyBank at the Toledo Zoo. Chuck Cerbini, curator of birds will share his Zoo experiences and introduce you to one of our resident penguins. Grab a bite and warm up with spiked hot cider, then bundle up and head out to enjoy the Lights display! Cash bar with complimentary appetizers. As a call to action, please bring recyclable items to donate to the Zoo’s TerraCycle program, contributing to saving our environment, via this list. Parking will be available in the Anthony Wayne Trail lot at no cost for guests. This event is designed for adults ages 21 to mid 40s. Price: Free for YPAC members (will receive a promo code via email.) $10 for non-YPAC members. This price does not include admission to the Lights Before Christmas, which would only apply to non Toledo Zoo members. Is the Gift Recipient a Current Member of the Toledo Zoo? Because you've selected One Adult YPAC Add-On and your membership can have more than one adult on it, please specify the name of the Adult with the YPAC enrollment. Are you a current member and are renewing your membership? If you would like to renew or purchase your gift recipient's membership, please use our other purchasing options. If you have two adults on your membership, you can purchase two YPAC add-ons.